Time for a new trick… We’ve added a Thatchers Cider from the UK to our list! 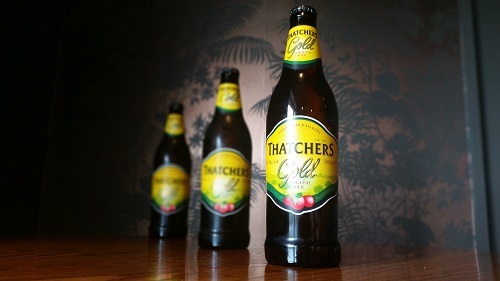 The creators tell us that “Thatchers Gold tastes as good as it looks. Using the best of our traditional approach and modern techniques for a refreshing cider with a smooth appley taste and a bright sparkle”. Sounds great!